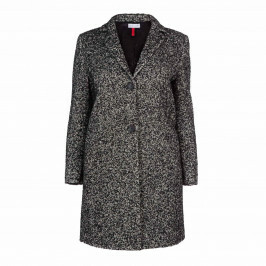 This soft jersey tunic from Per te by Krizia is smart enough to wear to the office yet comfortable to wear at the weekend too. 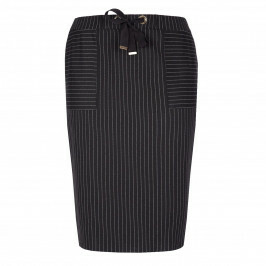 In classic black pinstripe it looks fabulous teamed with the coordinating skirt and a pair of your favourite court shoes. Black pinstripe top with back neck zip. 75% Viscose, 22% Polyamide, 3% Elastane. Delicate Dry Clean.